For the academic journal, see Food Policy (journal). Food policy is the area of public policy concerning how food is produced, processed, distributed, and purchased. Food policies are designed to influence the operation of the food and agriculture system. This often includes decision-making around production and processing techniques, marketing, availability, utilization and consumption of food, in the interest of meeting or furthering social objectives. Food policy can be promulgated on any level, from local to global, and by a government agency, business, or organization. Food policymakers engage in activities such as regulation of food-related industries, establishing eligibility standards for food assistance programs for the poor, ensuring safety of the food supply, food labeling, and even the qualifications of a product to be considered organic. Most food policy is initiated at the domestic level for purposes of ensuring a safe and adequate food supply for the citizenry. In a developing nation, there are three main objectives for food policy: to protect the poor from crises, to develop long-run markets that enhance efficient resource use, and to increase food production that will in turn promote an increase in income. Food policy comprises the mechanisms by which food-related matters are addressed or administered by governments, including international bodies or networks, and by public institutions or private organizations. Agricultural producers often bear the burden of governments' desire to keep food prices sufficiently low for growing urban populations. Low prices for consumers can be a disincentive for farmers to produce more food, often resulting in hunger, poor trade prospects, and an increased need for food imports. In a more developed country such as the United States, food and nutrition policy must be viewed in context with regional and national economic concerns, environmental pressures, maintenance of a social safety net, encouragement of private enterprise and innovation, and an agrarian landscape dominated by fewer, larger mechanized farms. Industrialized countries strive to ensure that farmers earn relatively stable incomes despite price and supply fluctuations and adverse weather events. The cost of subsidizing farm incomes is passed along to consumers in the form of higher food prices. The history of food policy in the United States started in the 1880s with policies being carried out by the U.S. Department of Agriculture. In 1883, Harvey W. Wiley, M.D., was appointed chief chemist at USDA. 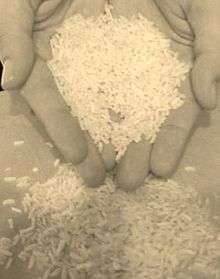 Wiley devoted his career to raising public awareness of problems with adulterated food; developing standards for food processing; and campaigning for the Pure Food and Drug Act, also known as the "Wiley Act". For much of the 1880s, policymakers discussed how to deal with diseased livestock being imported into or exported out of the United States. In 1884, the USDA Bureau of Animal Industry (BAI) was created with the purpose of ensuring that diseased livestock could not be used as food. In 1890, the BAI was charged also with testing meats being exported from the U.S. and ensuring these were disease-free. In 1906, the Pure Food and Drug Act and the Federal Meat Inspection Act (FMIA) were both signed into law. Both prevent production and sale of adulterated or misbranded foods, the Pure Food and Drug Act focusing on general foods, and FMIA focusing on meats. The Bureau of Chemistry, which was charged with enforcing the Pure Food and Drug Act, was reorganized in 1927, becoming the Food, Drug, and Insecticide Administration, and eventually came to be called the Food and Drug Administration (FDA) in 1931. In 1938, the Federal Food, Drug, and Cosmetic Act was passed by Congress, giving the FDA authority to set food safety standards. The FDA was reorganized to be under the direction of the Department of Health and Human Services in 1940. The Agricultural Marketing Act (AMA) was passed in 1946, allowing inspection of exotic and game animals on a pay-by-case basis, and giving the USDA the authority to inspect, certify and identify the class, quality and condition of agricultural products. In 1953, with large-scale reorganization in the USDA, the BAI and Bureau of Dairy were abolished, among other bureaus, and their duties were transferred to the Agricultural Research Service (ARS). The Poultry Products Inspection Act was passed in 1957. This ensured that poultry products shipped in interstate commerce as well as those products being imported into the U.S. were continually inspected for diseases, and that product labels are accurate. In 1958, the Food, Drug and Cosmetic Act of 1938 was amended to include the Food Additive Amendment, addressing concerns over invisible hazards from chemicals added to the foods. Also, the Humane Methods of Slaughter Act was passed in 1958. In 1978, this act was amended to ensure that all meat that was inspected by the FSIS to be used for human consumption was humanely slaughtered. In 1965, reorganization of the ARS' Consumer and Marketing Service brought federal meat and poultry inspection into one program. In 1967, the Wholesome Meat Act amended the FMIA, and in 1968, the Wholesome Poultry Act amended the PPIA, both requiring states to conduct inspection programs at least as stringent as federal inspections. The Egg Products Inspection Act (EPIA), passed in 1970, ensured the continuous inspection of the processing of egg products. In 1995, this task was taken over by FSIS, and the FDA took responsibility for shell egg products. In 1977, following several changes in organization, the Food Safety and Quality Service, renamed the Food Safety and Inspection Service (FSIS) in 1981, was created to perform meat and poultry grading. Following an E. coli outbreak in 1993, inspections began to rely more on scientific tests as opposed to the usual sensory-based inspections. FSIS pushed research of Hazard Analysis and Critical Control Points (HACCP). In 1996, the Pathogen Reduction/HACCP Systems were issued, ensuring that illness-causing pathogens are reduced on raw products. Now, while the industry must ensure they are using safe practices, the government is ultimately responsible for setting safety standards and enforcing those standards through inspections and regulation. While food safety concerns may have motivated some of the earliest food policy initiatives, public policies developed around other forms of consumer protections during the latter half of the 20th century, including food labeling and dietary guidance. The role of poverty in food insecurity as well as agricultural concerns have also contributed to the food policy landscape and debate in the United States in recent decades. The primary international agency with a focus on food policy is the Food and Agriculture Organization (FAO) of the United Nations, established in 1945 with four express purposes: to improve nutrition and living standards in member nations, improve the efficiency of production and distribution of all food and agricultural products, better the conditions of rural populations, and expand the world economy in such a way that it would ensure humanity's freedom from hunger. In 1974, FAO hosted the first World Food Conference in Rome and adopted a "Universal Declaration on the Eradication of Hunger and Malnutrition". In the aftermath, numerous public and private efforts were launched to better understand the agricultural, economic, social, climatological, and geo-political contributors to hunger. Organizations such as the International Food Policy Research Institute were founded to fund research designed to lead to "sustainable solutions for ending hunger and poverty" and annually produces a Global Food Policy Report. Policy-makers seek to better understand how economic principles govern supply and demand and how supply and demand influence food security, first defined in the 1970s as "the ability to meet food needs in a consistent way," though the definition continues to evolve. Food policies evolve as nations improve their economic condition, moving from an economy based on isolated, self-sufficient rural farming to one based on trade and the development of a wider variety of goods and services offered. Urbanization, population growth, and shifting health concerns affect the way food policy is approached. The following table adapted from Simon Maxwell and Rachel Slater succinctly describes the evolutionary shift in food policies internationally. Food policy is generally linked to the health of a population. The early literature in under-nutrition involving developing countries was concerned with the effects of food shortage practices on spreading diseases such as marasmus and kwashiorkor. With increases in food production, consumption of energy-dense foods, and the reduction of physical activity, there has been an increase in the prevalence of obesity in developed countries, especially in middle income families, and in some developing countries. Such issues are receiving greater attention from nutritionists and health economists in part because of the life-time costs of treating associated conditions such as diabetes and hypertension. Also, these policies have aided gains in life expectancy achieved in the last few decades by reducing the rate of premature deaths due to obesity and chronic diseases. From the standpoint of policy makers, the diets of lower income families within developing countries need to contain higher quantities of nutrients such as dietary protein, iron, calcium, vitamin A, and vitamin C, in relation to overall energy intake. By contrast, food policies for developed countries should encourage lower consumption of energy-dense foods such as those high in dietary fat and sugars, while promoting higher intakes of dietary fiber for improving health. In the United States, food policy decisions are made by government entities at the federal, state, and local level. The primary arenas of federal involvement in food policy include agriculture, nutrition assistance, food safety, dietary guidance, and labeling. Industry initiatives and the work of advocacy organizations that affect food policy are also addressed in this section. Most food policies are developed incrementally, often in reaction to changed circumstances, political climates, or needs. All three branches of the federal government play a role in the formulation of food policy in the United States. Ensuring that food labels are truthful and contain reliable information consumers can use to choose healthy diets. MyPlate has been developed to take the place of the widely known food pyramid. MyPlate illustrates the proportions of each food group which should be present at each meal. The United States Department of Agriculture has a broad range of interests involved in food policy. The Food Safety and Inspection Service (FSIS) is responsible for making sure that the United States' commercial supply of meat, poultry, and egg products is safe, wholesome, and correctly labeled and packaged. The Food and Nutrition Service (FNS) focuses on helping children and needy families get proper nutrition through food assistance programs and nutrition education. Two widely known programs within FNS are the Supplemental Nutrition Assistance Program (SNAP) and the National School Lunch Program (NSLP). The Center for Nutrition Policy and Promotion (CNPP) works to improve the health and well-being of Americans by developing and promoting dietary guidance that links scientific research to the nutrition needs of consumers. 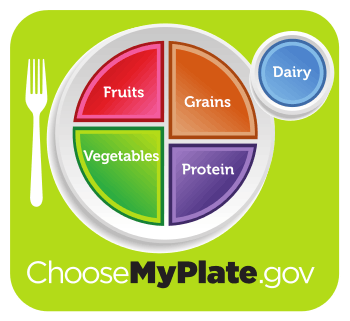 The widely accepted food pyramid was used as part of this dietary guidance, but more recently MyPlate has been developed to show proper nutrition practices in reference to a place setting. The food groups of fruits, vegetables, grains, protein foods, and dairy are each allotted a certain amount of space on the plate, showing the public the proportional amounts of each food they should be eating during each meal. The National Organic Program (NOP) regulates the standards for any farm that wants to sell an agricultural product as being organically produced. In order for the agricultural product to be labeled organic, synthetic fertilizers, sewage sludge, irradiation, and genetic engineering may not be used. Additionally, any animal product that is labeled organic must follow guidelines that the livestock living conditions, health care practice and feed follow organic specifications. With authority over the nation's annual budget, Congress also plays a role in the formulation of food policies, particularly around issues related to farming and nutrition assistance. In the House of Representatives, the Committee on Agriculture is the lead player; in the Senate, it is the Committee on Agriculture, Nutrition and Forestry. The budget and appropriations committees of each house also play a role. When a program or policy is subject to mandatory spending requirements, meaning that congressional budget committees must fully fund the program for all who meet eligibility criteria, it is the authorizing agriculture committees in both houses that have the power to define the scope of eligibility for the programs. Programs that are not considered mandatory are considered discretionary spending programs, and power over the bottom line is in the hands of the appropriations committees of each house charged with setting annual spending levels. The U.S. Supreme Court has been involved in numerous decisions that have affected food policy around trade and patent concerns, food safety, and labeling. A more systematic and aggressive use of the court system to challenge practices that are linked to obesity has been proposed. Examples include initiating lawsuits against real estate developers who do not include recreational facilities in their designs, school boards that allow exclusive vending rights to soft drink companies, and manufacturers of non-nutritious foods. From a public finance point of view, the two most costly undertakings of the federal government are spending on nutrition assistance and farm subsidy programs, both governed in an omnibus farm bill that is refashioned every five years. Nutrition assistance is by far the costliest food policy program in the nation, followed by farm subsidies. The role of agricultural concerns and nutrition assistance are described in more detail below. Government interventions in the agricultural economy influence the quantities produced and price of food. A number of different instruments are used to incentivize farmers to grow crops and buffer them through difficult economic or weather cycles, including price supports, supply controls, deficiency payments, direct payments, insurance, and demand expansion. Updated every five years, the United States farm bill specifies the type of policy instruments that will be funded in a given cycle and at what cost. Subsidies to farming interests, determined primarily by the farm, are expected to cost $223 billion over the 10-year period from 2013 to 2022, according to the Congressional Research Service (CRS). Crop insurance is the most expensive of the federal farm subsidies, followed by conservation policies and commodity supports. Farmers growing commodity crops, such as corn and soybeans, are the largest beneficiaries of government support. Representatives and senators from states that receive the lion's share of farm subsidies often dominate the committees on agriculture in the House and Senate. Agricultural economics plays an increasingly larger role in the understanding of both domestic and global food trade policy decisions. The primary demand expansion program supported by the federal government through the Department of Agriculture is known as the commodity checkoff program. It is responsible for a series of familiar advertising campaigns to create higher demand for commodity products such as milk, beef, pork, and eggs. Familiar slogans from these campaigns include "Got Milk? "; "Pork. The Other White Meat"; and "The Incredible, Edible Egg". Checkoff programs do not exist for some of the healthier foods grown and produced in the U.S., including poultry, fish, and whole grains, and marketing support for produce is minimal. In recent decades, policy makers have come under increased pressure to balance the interests of traditional farming in the United States and issues around organic farming, the environmental impact of agriculture, food vs. fuel, and international food security concerns. Ensuring adequate food for families and individuals living in poverty is also a centerpiece of any nation's food policy efforts. In the United States, this aid primarily takes the form of monthly benefits that are calculated based on family income, adjusted for certain deductible living expenses and household size, and can only be used for the purchase of foods. The program known for decades as "food stamps" was revamped and renamed Supplemental Nutrition Assistance Program (SNAP) in 2008 to acknowledge the change from paper food stamps to electronic benefit transfer or EBT cards. SNAP is a mandatory spending program; the government must designate funds for the program sufficient to cover benefits for all who meet the eligibility requirements. The farm bill also authorizes funding for SNAP and other nutrition assistance programs, projected to cost $772 billion over the 10-year-period from 2013 to 2022. The nutritional needs of children in poverty are an important component of nutrition assistance in the United States. In fiscal year 2011, 45.1 percent of all recipients of SNAP benefits were children. In addition, the Special Supplemental Nutrition Program for Women, Infants and Children (WIC) is an effort to ensure the healthcare and nutrition needs of pregnant and lactating low-income women and their children under the age of five. The National School Lunch Act created the National School Lunch Program in 1946 to ensure that low-income children received a fully or partially subsidized meal in the middle of their school day. Revisions to the program were made under President Lyndon B. Johnson with the enactment of the Child Nutrition Act, which integrated the school lunch programming with the Special Milk Program and launched a new national School Breakfast Program. Numerous studies have confirmed a link between school performance and the school breakfast program. More recently, the Healthy, Hunger-Free Kids Act of 2010 was signed into law by President Barack Obama and serves to reauthorize expenditures on food programming for children. Nutrition standards for school breakfasts and lunches were revised for the first time in 15 years through the passage of the act to align them more closely with the Dietary Guidelines for Americans. The federal government has faced increased pressure to improve the nutritional quality of meals served in public schools over the last several decades from a wide range of advocacy groups such as the Healthy Schools Campaign and celebrity chef Jamie Oliver's "School Food Revolution" launched in a TED talk in February 2010. Some of this pressure stemmed from federal efforts in the 1980s to broaden the definition of qualifying food groups in what became known as the "ketchup as a vegetable" controversy during the Reagan administration. Concerns about senior citizens living in poverty in the 1960s led to the establishment of the Elderly Nutrition Program (ENP) in 1972. This federally funded program provides grants to state and area agencies on aging to help finance the cost of congregate and home-delivered meals for older adults living independently in the community. The program is periodically re-authorized under the Older Americans Act and is administered by the U.S. Department of Health and Human Service's Administration on Aging. The primary activity funded under Title III is the preparation and serving of nutritious meals for adults over the age of 60 and their spouses. Title III-A provides funding for tribal organizations to provide similar meal services. The meals are distributed through two mechanisms: (1) delivered to the homes of seniors who are not mobile or have self-care challenges, and (2) served at a group meeting place such as a senior center, church, community hall or public school. Homebound seniors receive one meal per day (several fresh and frozen meals may be included in a single delivery), and communities that offer congregate meals are encouraged to offer a meal at least five times per week. Meals must meet Dietary Reference Intakes and USDA Dietary Guidelines for older adults. In 2011, the budget for Title III programs was $817.8 million and an estimated 2.6 million people were served. Grants are made by the Administration on Aging to state agencies and local area councils on aging that provide a variety of other services to their communities' seniors. The program relies heavily on volunteers; a savings of about 10% per meal is attributed to volunteer labor. Over the last 20 years, more funds were shifted from congregate meal support to home-delivered foods, often referred to as Meals on Wheels. While the aim of ENP is to target low-income elderly in cities as well as rural settings, there is no means test to use these services; drafters of the initial legislation wanted to limit barriers to use of the program by older adults. Nutrition assistance in the U.S. takes place in a unique context given the prevalence of obesity among adults and children. More than 69 percent of American adults aged 20 and older were considered overweight or obese in 2009-2010, and 12 percent of children aged 2 to 5 were classified as obese. Studies have found some correlations between food insecurity and obesity among women, but findings regarding men and children have been inconsistent. A framework for using this information to inform policies surrounding food benefits has been proposed. The framework suggests that strategies for coping with the social, psychological and economical stresses of poverty are central to the link between poverty and unhealthy weight status. A concern about lack of access to fresh produce for many inner city recipients of SNAP benefits has led to an effort to increase the role farmers' markets can play in providing healthy fruits and vegetables to those receiving nutrition assistance. From 2005 to 2010, the number of farmers' markets authorized and equipped to manage SNAP transactions increased from 444 to 1,611. The Senior Farmers' Market Nutrition Program provides funding for coupons given to needy older adults for use in local markets and roadside produce vendors approved by each state. In broad policy terms, food safety can be described as an attempt to limit contaminants in the food supply. Traditionally, contaminants of greatest concern were pathogens. According to 2011 estimates by the Centers for Disease Control and Prevention (CDC), 48 million people are sickened, 128,000 are hospitalized, and 3,000 die of foodborne diseases during each year. The top five offenders were norovirus, salmonella, Clostridium perfringens, Campylobacter spp., and Staphylococcus aureus. The General Accounting Office has written numerous reports highlighting the dangers inherent in a fragmented approach to U.S. food safety. Federal regulation of food safety is split primarily among agencies in the Department of Health and Human Services and the Department of Agriculture, but some responsibilities are also delegated to the Environmental Protection Agency (EPA), the Department of Commerce, and the Department of Homeland Security. Within the Department of Health and Human Services, the Food and Drug Administration (FDA) is responsible for the safety of most food products with the exception of meat, poultry, and processed eggs. Animal drugs and livestock feed are also part of the FDA safety mandate, while outbreaks of foodborne illnesses are monitored and probed by the CDC. Within the USDA, the Food Safety and Inspection Service is charged with oversight of the safety, wholesomeness, and proper labeling of meat, poultry and processed eggs. Inspectors are required to be onsite at nearly every slaughterhouse in the nation when animals are being readied for human consumption. As a result, the FSIS has a larger annual budget and employs a much larger number of inspectors than the FDA, even though the FDA's mandate is much broader. Other USDA agencies with a role in food safety include the Animal and Plant Health Inspection Service (APHIS), which aims to prevent animal and plant diseases in domestic and imported products, and the Agricultural Marketing Service (AMS), a service whose primary function is to set quality, grades and marketing standards for dairy products, fruits, vegetables and meat. In addition to pathogens, chemical additives to food are of increasing concern to Americans. A critical concept related to chemical additives in food is known as generally recognized as safe or GRAS, a designation of the Food and Drug Administration for food substances that are exempt from safety testing. About 12,000 samples of fruits and vegetables available to U.S. consumers are collected each year and tested for residue from pesticides, and the results are published in an annual Pesticide Data Program (PDP) hosted by the USDA. The non-profit organization Environmental Working Group publishes an annual list called the Dirty Dozen designed to direct consumers' attention to the fruits and vegetables most contaminated by pesticide residue. In its annual Shopper's Guide to Pesticides, the organization urges shoppers to continue eating fresh produce, but consider purchasing organically grown versions of the 12 most contaminated items. There are several types of policy instruments that can be used to try to remedy risks to health posed by the farming and processing of foods for consumption. The government can develop process rules that explicitly state which procedures are appropriate for handling particular foods. Performance standards set quality standards against which foods are measured, such as grades for meat or eggs. Food labeling rules, government-funded food safety research, and consumer education are additional tools. The potential for product liability lawsuits against manufacturers with poor safety practices offers another incentive for producers to take appropriate care when handling and processing foods. Food labeling requirements are spelled out in the Federal Food, Drug, and Cosmetic Act (abbreviated FFDCA, FDCA, or FD&C). Nutrition labeling is required for most prepared foods, and is voluntary for raw produce and fish. The most recognizable label is the nutrition facts label found on all prepared foods. This lists the suggested serving size followed by the amount per serving of calories, fat, cholesterol, sodium, carbohydrates, protein, and a list of some micronutrients found in the food. Ingredients are also included on the label, listed from the highest quantity to the lowest quantity. There are also requirements for allergen labeling. According to the Food Allergen Labeling and Consumer Protection Act of 2004 (Public Law 108-282, Title II), 2% of adults and 5% of infants and children have food allergies, and 90% of these allergies are related to milk, eggs, fish, crustacean shellfish, tree nuts, peanuts, wheat, and soybeans. Labeling must contain a list of these major food allergens which are contained in the product, or which may have come in contact with the food during production. This seal is found on all food products that meet NOP regulations to be called "100% Organic" or "Organic". A product can be labeled "100% Organic" if it contains only organic ingredients and processing aids. The label "Organic" is used for products containing at least 95% organic products. Products made up of at least 70% organic ingredients may be labeled "Made with organic ingredients". Use of these terms on labels may be added in effort to improve marketing for the product. Consumers report skepticism about the quality of dietary advice generally, often stating confusion due to conflicting nutrition information from different sources. The Center for Nutrition Policy and Promotion within the U.S. Department of Agriculture is charged with reviewing the scientific literature and forging agreement on a series of food choices and behaviors that are compiled and issued every five years as the Dietary Guidelines for Americans. The 2015 Dietary Guidelines Advisory Committee is currently meeting and expects to publish new guidelines in the fall of 2015. The general public is invited to submit comments to the advisory committee, which are published on the website of the Center for Nutrition Policy and Promotion. Comments submitted come from academic institutions, individual physicians, members of the public, and industries with a stake in the guidelines. For example, among those giving oral testimony to the committee that developed the 2010 guidelines were representatives of the sugar, fisheries, dairy, egg, pork, beef, soy foods, and produce industries. Others offering testimony included the Council for Responsible Nutrition, the University of Washington, the American Heart Association, The Cancer Project]], the Institute of Food Technologists, and the Vegetarian Union of North America. While open to public input, the development of the dietary guidelines is an example of a food policy promulgated solely within the executive branch of the federal government. For more than a decade, dietary guidelines were illustrated with a food pyramid, but the 2010 guidelines were accompanied by a new graphic, MyPlate. This graphic attempts to show proper nutrition practices in reference to a place setting. Five food groups - fruits, vegetables, grains, protein foods, and dairy - are drawn in ideal proportions for each meal. Periodic reports from government agencies, surveys, and studies indicate that the U.S. population fails to meet the government's dietary guidelines. Americans eat insufficient quantities of fruits and vegetables and consume too many foods high in unhealthy fats, added sugars, and alcohol. As with nutritional assistance, dietary guidelines are formulated in an environment that is increasingly aware of the health risks faced by the nation due to the growing number of overweight and obese individuals. While the field of nutrition and public health works closely with a social ecological model that places individual behavior determinants and choices in the context of his or her familial, community, and societal contexts, the Dietary Guidelines for Americans are directed solely at individual behaviors around food, nutritional intake and physical activity. Every citizen of the United States could be described as a stakeholder in food policy, but farming and food industry interests are generally the dominant players when advocating for and against legislation and regulation at the federal level; public health advocates and consumer interest groups also play a role. Action by the federal government on food policy is often more important to farmers and food manufacturers or distributors because their income is derived from these economic activities, whereas consumers in the U.S. spend only about 10 percent of their income on food. This generally makes farmers or food industry executives easier to organize around policy issues than the public at large. Non-profit organizations that accept charitable donations and are organized under section 501(c)(3) of the Internal Revenue Service Code are limited in the funds they can spend on lobbying activities under the code, while profit-making businesses and trade associations do not face the same restrictions. As a result, some charitable groups with a stake in U.S. food policy decisions create a separate organization for lobbying purposes and devise a funding mechanism that does not include tax-deductible charitable contributions. Funds spent by industry and other interest groups on lobbying and political campaigns are tracked and made publicly available by the not-for-profit Center for Responsive Politics through its website, Open Secrets. Many food policy councils (FPCs) also work to educate the public, shape public policy, and even create new programs. Many states, regions, cities and other organizations have formed their own FPCs. Some of these FPCs are commissioned by the government, while others are collaborative efforts by grassroots organizations. The earliest grassroots food policy councils were the The City of Hartford Advisory Commission on Food Policy established in 1991 and the Marin Food Policy Council established in 1998. Some councils are found at universities, such as the Rudd Center for Food Policy and Obesity at Yale. Not all policies involving food in the public marketplace originate within government. The food industry has also set standards for itself from time to time. Often, these voluntary efforts stem from industry concerns that they may face heavier or piecemeal regulations from federal or state regulators. Facts Up Front is an initiative by the Grocery Manufacturers Association (GMA) that is designed to simplify nutrition information on products with a front-of-package (FOP) label that highlights the calories, saturated fat, sodium, and sugars in a single serving of an item. Initially called "Nutrition Keys", the industry took this action at a time when federal agencies expressed concerns about the potential for consumer confusion stemming from competing attempts to simplify nutrition information on packaged goods. Congress and the Centers for Disease Control charged the Institute of Medicine with conducting a study with an eye toward recommendations to standardize these labels, and a report was issued in October 2011. The GMA initiative was launched in January 2011, and compliance is voluntary. Launched in 2007, this voluntary effort called for food manufacturers to set nutritional criteria for food products they advertise during children's programming. Organized through the Better Business Bureau, the initiative was widely criticized by advocates for federal regulation of advertising to children. A scorecard developed by the Rudd Center for Food Policy and Obesity at Yale University to track changes in the advertising of cereal to children was issued in 2012 and covered changes during the period of 2008 to 2011. Among the findings: total media spending to advertise child-targeting cereals had increased 34 percent, cereal company spending on Spanish-language TV more than doubled in that time period, two cereal companies launched new advertising in video games or advergame websites, and the majority of cereals children see advertised on television consist of one-third or more sugar. Overall nutrition had improved for 13 of 16-targeted brands, and preschoolers' exposure the cereal advertising declined by 6 percent. As with other actors in the public policy arena, food policy makers must account for a variety of political, social, environmental and economic agendas that affect a nation's food supply. Food politics, both domestically and internationally, play an important role in agenda setting, rule making, and implementation. Politics come into play on a variety of different fronts as the needs of the populace to have reliable, safe, affordable access to food are balanced against the desire to ensure farmers can earn a viable living. Food policy has both political and economic factors that contribute to the challenges it faces. Food policy is not completely based on politics, but politics have an impact. Countries that have more political involvement typically have more of an influence on solving issues dealing with hunger and poverty. Countries that have less political involvement may not have as much to do with food policy. The solution to hunger and poverty can be found by increasing the amount of food intake per individual. The amount to increase by depends on how much food is needed to carry out day-to-day tasks. Some challenges that this solution faces are: having enough money to afford the cost of food, having the food supply, and having a sufficient supply of nutritional foods. Also, having the education on what foods to buy and which are nutritional can be an issue. These are all factors that can cause a food policy to fail. Food policy involves both consumers and producers. If prices are too high for consumers to afford nutritional food products, then it reduces the amount they can purchase. High food prices can cause lower-income households to have a poorer quality diet. Producers rely on food prices for income and therefore cannot make the prices so low that they are not able to survive. There is a fine line between supply and demand, which creates a challenge for food policy. ↑ Drake University. "What is a food policy?". State and Local Food Policy Councils. Iowa Food Policy Councils. Retrieved 28 February 2011. 1 2 3 4 5 Fischer, G.; Frohberg, K.; Keyzer, M.A. ; Parikh, K.S. (1988). Linked National Models: A Tool for International Policy Analysis. The Netherlands: Kluwer Academic Publishers. ISBN 978-9024737345. ↑ "Managing food price risks and instability in a liberalizing market environment: Overview and policy options". Food Policy. 31: 275–287. doi:10.1016/j.foodpol.2006.02.002. 1 2 3 Boeing, G. (2016). "How Our Neighborhoods Lost Food, and How They Can Get It Back". Progressive Planning. 206 (Winter): 35–37. Retrieved 2016-10-12. 1 2 3 4 5 6 7 8 Wilde, Parke (2013). Food Policy in the United States: An Introduction. London and New York: Routledge Taylor & Francis Group. ISBN 978-1-84971-428-0. ↑ Universal Declaration on the Eradication of Hunger and Malnutrition. United Nations Office of the High Commissioner for Human Rights. Adopted on 16 November 1974 by the World Food Conference convened under General Assembly resolution 3180 (XXVIII) of 17 December 1973; and endorsed by General Assembly resolution 3348 (XXIX) of 17 December 1974. ↑ "About IFPRI". International Food Policy Research Institute. Retrieved December 5, 2013. ↑ Anderson, Molly D.; John T. Cook (1999). "Community food security: Practice in need of theory?". Agriculture and Human Values. 16: 141–150. ↑ Maxwell, S.; Slater, R. (2003). "Food policy old and new". Development Policy Review. 21 (5-6): 531-553. ↑ Algazy, Jeffrey. "The World is Getting Fat" (PDF). Why Governments Must Lead the Fight Against Obesity. Mckinsey. Retrieved 31 March 2011. ↑ "Oxford University Press: Food, Economics, and Health: Alok Bhargava". Retrieved January 20, 2009. ↑ "About FSIS". USDA Food Safety and Inspection Service. 2 April 2012. Retrieved 5 April 2012. ↑ "About FNS". USDA Food and Nutrition Service. 9 February 2012. Retrieved 5 April 2012. ↑ "About Us". USDA Center for Nutrition Policy and Promotion. 14 March 2012. Retrieved 5 April 2012. 1 2 "Home". USDA ChooseMyPlate.gov. Retrieved 5 April 2012. ↑ "Organic Certification". United States Department of Agriculture. Retrieved 6 April 2012. ↑ "National Organic Program". USDA Agricultural Marketing Service. 7 February 2012. Retrieved 6 April 2012. ↑ Healey, Jon (2013-05-13). "Supreme Court hands Monsanto a GMO victory". Los Angeles Times. Retrieved December 5, 2013. ↑ David, Stephanie D. (2012). "Raw milk in court: Implications for public health policy and practice". Public Health Rep. 127: 598–601. PMC 3461852 . PMID 23115386. ↑ Egelko, Bob (2007-04-28). "U.S. court rebuffs Bush on tuna ban / White House chided for trying to loosen 'dolphin-safe' rules". San Francisco Chronicle. Retrieved December 5, 2013. ↑ Mello, MM; Studdert, DM; Brennan, TA (2006). "Obesity: The new frontier of public health law". New England Journal of Medicine. 354 (24): 2601–10. doi:10.1056/nejmhpr060227. 1 2 Monke, J. Budget Issues Shaping a 2012 Farm Bill, No. R42484, Congressional Record Service, Washington, D.C.
↑ "EWG Farm Subsidy Database". Environmental Working Group. Retrieved December 5, 2013. ↑ "A Closer Look at Mandatory Spending" (PDF). Congressional Budget Office. Retrieved December 5, 2013. ↑ Victor Oliveira, Elizabeth Racine, Jennifer Olmsted, and Linda M. Ghelfi. "The WIC Program: Background, Trends, and Issues", Food Assistance and Nutrition Research Report No. (FANRR-27), October 2002. ↑ Meyers, A.F. ; Sampson, A.; Weitzman, M.D. ; Rogers, B.; Kayne, H. (1989). "School breakfast program performance". Am. J. Dis. Child. 10. 143: 1234–1239. doi:10.1001/archpedi.1989.02150220142035. ↑ Kleinman, R.E. ; Hall, S.; Green, H.; Korzec-Ramirez, D.; Patton, K.; Pagano, M.E. ; Murphy, J.M. (2002). "Diet, breakfast, and academic performance in children". Annals of Nutrition and Metabolism. Suppl 1. 46: 24–30. doi:10.1159/000066399. ↑ "Nutrition Standards for School Meals". USDA Food and Nutrition Service. Retrieved December 5, 2013. ↑ "Jamie Oliver: Teach every child about food". TED Conferences, LLC. ↑ Ponza, M., Ohls, J.C., Posner, B.M. "Elderly Nutrition Program Evaluation Literature Review". Mathematica Policy Research, Inc., for US Department of Health and Human Services. March 3, 1994. ↑ "Nutrition Services". Administration on Aging. Retrieved December 5, 2013. ↑ Colello, K. "Older Americans Act: Title III Nutrition Services Program", Congressional Research Service Report for Congress. June 17, 2011. Retrieved 9/27/2013. ↑ Statement by Kathy Greenlee, Assistant Secretary Administration on Aging, U.S. Department of Health and Human Services (HHS), on Senior Hunger and the Older Americans Act before Committee on Health, Education, Labor and Pensions Subcommittee on Primary Health and Aging, United States Senate, Tuesday June 21, 2011. ↑ "Obesity and Overweight". US Centers for Disease Control. Retrieved December 5, 2013. ↑ Dinour, L.M. ; Bergen, D.; Yeh, M-C (November 2007). "The Food Insecurity-Obesity Paradox: A review of the literature and the role food stamps may play". Journal of the American Dietetic Association. 107 (11): 1952–1961. doi:10.1016/j.jada.2007.08.006. ↑ Love, Drew. "Farmers Market SNAP Sales Soar in 2010". Farmers Market Coalition. Retrieved December 5, 2013. ↑ "Senior Farmers' Market Nutrition Program (SFMNP)". USDA. Retrieved December 5, 2013. ↑ "CDC Estimates of Foodborne Illness in the United States". US Centers for Disease Control. Retrieved December 12, 2013. ↑ United States Government Accountability Office Report to Congressional Committees. Federal Food Safety Oversight. March 2011. GAO-11-289. ↑ "Generally Recognized as Safe (GRAS)". US Food and Drug Administration. Retrieved December 12, 2013. ↑ "Pesticide Data Program (PDP)". USDA Agricultural Marketing Service. Retrieved November 15, 2013. ↑ "Executive Summary: EWG's 2013 Shopper's Guide to Pesticides in Produce". Environmental Working Group. Retrieved November 15, 2013. ↑ "Food Allergen Labeling and Consumer Protection Act of 2004 (Public Law 108-282, Title II)". US Food and Drug Administration. 21 August 2009. Retrieved 12 April 2012. 1 2 "Organic Labeling and Marketing Information". 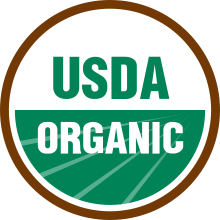 USDA National Organic Program. April 2008. Retrieved 6 April 2012. ↑ Ayoob, K-T; Duyff, R.L. ; Quaglini, D. (February 2002). "Position of the American Dietetic Association: Food and Nutrition Misinformation". Journal of the American Dietetic Association. 102 (2): 260–266. doi:10.1016/S0002-8223(02)90062-3. ↑ "Dietary Guidelines for Americans, 2015". USDA/HHS. Retrieved December 5, 2013. ↑ "Dietary Guidelines for Americans". USDA/HHS. Retrieved December 5, 2013. ↑ Krebs Smith, S.M. ; Guenther, P.M.; Subar, A.F. ; Kirkpatrick, S.I. ; Dodd, K.W. (2010). "Americans Do Not Meet Federal Dietary Recommendations". Journal of Nutrition. 140:1832–8. ↑ Ory, M.G. ; Jordan, P.J. ; Bazzarre, T. (2002). "The Behavior Change Consortium: Setting the stage for a new century of health behavior-change research". Health Education Research. 17 (5): 500–511. doi:10.1093/her/17.5.500. 1 2 "Facts Up Front Front-of-Pack Labeling Initiative". Grocery Manufacturers Association. Retrieved December 5, 2013. ↑ Layton, Lyndsey (2009-10-21). "FDA seeks better nutrition labeling". The Washington Post. Retrieved December 12, 2013. ↑ Institute of Medicine of the National Academies, "Front-of-Package Nutrition Rating Systems and Symbols: Promoting Healthier Choices". Oct. 20, 2011. ↑ Kunkel, D., McKinley, C., Wright, P. "The Impact of Industry Self-Regulation on the Nutritional Quality of Foods Advertised on Television to Children". Children Now. December 2009. ↑ Harris, J.L. ; Schwartz, M.B. ; Brownell, K.D. "Cereal f.a.c.t.s. 2012". Robert Wood Johnson Foundation. Retrieved December 5, 2013. ↑ Maxwell, Simon. "Food Policy Old and New". Development Policy Review. 21: 531–553. doi:10.1111/j.1467-8659.2003.00222.x. ↑ Timmer, Peter (1983). Food Policy Analysis (PDF). The World Bank. pp. 1–12.